With growing bandwidth, faster speeds and access to the internet over mobile phones, the average internet user’s patience to wait for web pages to load is fast diminishing. Search engines also are aware that their users want fast loading websites. 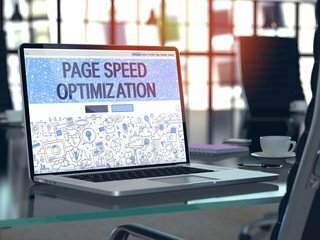 Page load time is now one of the factors that influence how high your website ranks in search engines. What this means is, if your website is not optimized for fast loading, you are literally losing visitors and business. Research has shown that every second slowdown of your site can result in more visitors bouncing off the site and refusing to wait for it to load, increased shopping cart abandonment for ecommerce sites and reduced engagement by way of the number of pages visited, shares, likes, etc. 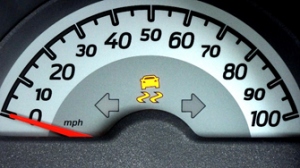 You can no longer afford NOT to optimize your website speed. At Flying Cow Design, we take a process-driven, time-tested approach to website speed optimization. How quickly your pages load affects your search engine rankings. Just like your potential visitors, even search engines do not like a slow website. If your page takes too long, major search engines will decrease your ranking, making it harder for your customers to find your page without the direct URL. Search engines crawl the code within your website and determine how well your page should rank. Clean HTML code and CSS will give your pages the best chance of ranking on page 1 of search engines. It will also provide a better user experience. As a result, your visitors are more likely spend more time on your site, visit more pages (reducing your bounce rate), share and like your content and engage with your content. All these are positive SEO signals that can result in better rankings over time. If you have an ecommerce website, your website performance can directly impact your ecommerce revenue. Every second drop in site speed can result in up to 18% drop in ecommerce conversion rate and increase shopping cart abandonment by over 11%. Most ecommerce content management systems like Magento have built-in features to improve website performance like browser caching, content delivery network (CDN) integration, gzip compression, etc. Even with these built-in features, there are limits to website performance optimization through just the CMS. Professional performance optimization services can improve the speed of an already optimized ecommerce site by over 20% in most cases. How to check load speed? There are many tools available to check the performance of your website. Google PageSpeed Insights is by far the most effective speed testing tool that we use most extensively. It rates the speed of a web page on a scale of 0 to 100. A performance rating of 80 or higher is considered a minimum requirement. Not only does the tool tell you how your page performs, but it also provides specific suggestions to improve website load speed. YSlow is an open source browser add-on for Chrome, Firefox, and other popular browsers. The tool tests the website’s performance against the guidelines provided by Yahoo! WebPageTest is another web-based speed testing tool that also lets you simulate the location from where your website is accessed. When visitors access your website, your server is hit with HTTP requests. We make sure as few requests as possible are used when accessing images, CSS scripts or files within your website. Whether you need a CDN depends on how much traffic your website receives and how many videos or images you need on your site. Large documents, large scripts, and complicated stylesheets slow page load speeds significantly. We will compress these elements using gzip compression to speed up load times. Having your scripts and styles called from external files reduces HTTP requests and increase page load speed. Jumbled and complicated HTML code decreases the load speed and makes it harder for search engines to crawl your pages. Often the capability of your web server and the way its configuration can impact your site’s performance. We optimize web server configurations and also offer state-of-the-art web hosting solutions to best suit your business needs. If your website uses a lot of widgets and plugins, they can impact performance. We optimize the use of these external add-ons to optimize the site’s speed. Cache-control header or expires headers are useful in helping web browsers cache your website content. We set these up and optimize them for optimal performance. Waiting until your traffic decreases to optimize website performance and speed could be too late for the success of your ecommerce business. Contact Flying Cow Design today to fix your site speed issues!